Home Trending News Dhanteras: What is Dhanteras? Why is it celebrated? Dhanteras is celebrated on the first day of five days festival, Diwali. On this day people engage in Laxmi Pooja i.e. they worship goddess Laxmi. It is believed as per Hindu mythology that goddess Laxmi visits their home on the first day of Diwali i.e. Dhanteras and bless them with happiness, prosperity, wealth and good health. 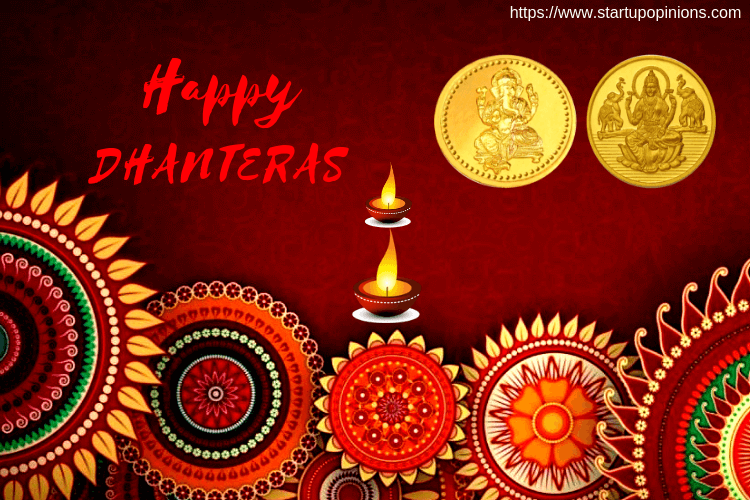 Dhanteras is also known as Dhantrayodashi and Pooja is known as Dhantrayodashi pooja in which people worship goddess Laxmi along with Lord kubera, lord of wealth. The Pooja is continued for almost 2 hours where we chant arti, mantras and bhakti songs as well. The Pooja is held with tiny diyas that emphasis the victory of good over evil shadows. On the day of Dhanteras, people bring home new things that may include; gold or silver coins, jewelry, and new utensils. People also conduct massive cleaning projects at their homes, offices, and temples by decorating them with lights, having new paint of white wash to welcome goddess Laxmi to their lives and take blessings from her. They believe that goddess Laxmi is not guest in their houses but she owns everything they own in their lives. You all may think that it is only the Indian psychology that goddess Laxmi visits their homes and bless them with happiness, wealth and prosperity but there are many stories to proves this mythology. These stories are known as the legend of Dhantrayodashi. Let me start with the first one, where goddess Laxmi was traveling to earth with Lord Vishnu. Before the visit to earth, Lord Vishnu took two pledges from goddess Laxmi that while they are on earth she will not look in the south direction and will never fall for earthy temptation. She agreed with two conditions and visited the earth. But on her trip to earth, she looked in the south direction and also got fascinated with sunflowers and sugarcane crops as she could not resist herself from the beauty of the earth and she was also popularly known for her curious nature i.e. Chanchal Mann. Lord Vishnu caught her dressing her hairs with sunflower and enjoying sugarcane juice and thus, punished her to broke all pledges and made her stay on earth for 12 years straight with a poor farmer. From the day she starts living with that poor farmer, he grew in wealth and prosperity. The years turn out to be the golden period for the farmer and when the time comes when goddess Laxmi has to back with Lord Vishnu, farmer refuses to let her go as she brings happiness, wealth and prosperity in his life. Even after repeated efforts of Vishnu ji, farmer denied the proposal and let goddess Laxmi ji go away from his lives. Therefore, Laxmi ji has to tell him the truth that who actually she is and why she has to stay with him on earth all these years. Farmer felt lucky that goddess herself stayed at his home and blessed him with all the happiness in life. As a gesture, goddess Laxmi promised farmer that she will come every year on Diwali for best wishes. Hence, the farmer and now the whole world welcome goddess Laxmi to their homes to have her blessings and lead a happy and healthy life. The second legend of Dhantrayodashi was the wife of the son of King Hima. On the fourth day of his marriage, a snake forecasted his death by biting him with his poisonous tongue. The wife of the boy was very smart, she comes up with a plan that escaped his death. While the death king, Yama was on his way to take the life of the boy, his wife doesn’t let him sleep for a while and made a heap of jewelry, ornaments, and coins at her doorstep to block the way of Yama. She also lighted up diyas and lamps in her room for more brightness and kept reciting stories to his husband so that he should not fell asleep. The time when Yama arrived a sparkling light of lamps and diyas shine into his eyes so that he was dazzling for a while. This comes up as an obstacle in his way to take the life of the boy. King Yama tried to climb the heap of coins but failed and finally, spare the life of the boy. This is how, wife saved the life of his husband and the day now celebrated as Dhantrayodashi or Dhanteras because of the goddess Laxmi, i.e. all the ornaments, jewelry, and coins were symbols of her presence and she saved the life of a boy. The above was the famous stories of legends that lead us to the conclusion that why the first day of Diwali is celebrated as Dhantrayodashi or Dhanteras. The Pooja is conducted to welcome goddess Laxmi and have her blessings or a happy and prosperous life ahead. The day is celebrated with full excitement. People wear new clothes, distributes sweets among family and friends. Every single corner of the houses, office, parking, and temples are cleaned thoroughly. In Puja, they place new bought utensils, jewelry and gold or silver coins. The festival of Diwali is considered as the festival of light and love that left people with happiness, wealth and prosperity in life. 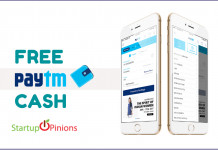 Previous articleWhat is Diwali and Why celebrate Diwali in India?